When was the last time you had to make a major life- changing decision? I’m not taking about getting married or moving to another city—I’m referring to the point where you knew you had to make significant lifestyle changes in order to live out a long, healthy life for you and your family? Making changes can be tough. After all, you’re used to a certain way of life. You, your friends, and family have specific things that bond you together and there may be certain expectations to uphold in your group. For example, you might have pizza and beer night every Tuesday, your weekly “all-you-can eat” buffet on Saturdays and soul-food chicken Sundays—and sometimes the very things that bond you and your family or friends together can hold you back when it comes to your health goals. 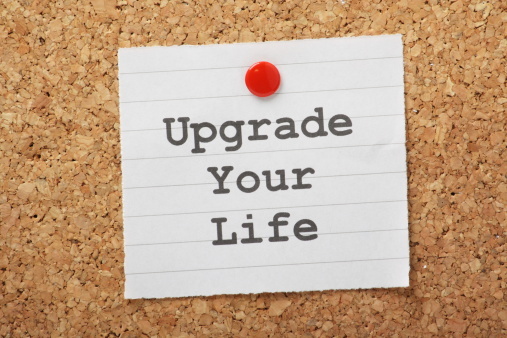 A number of years ago, I came to the realization that I needed to make changes in my life. I had been putting on weight, eating a pretty poor diet, and drinking too much alcohol. Sure, I was exercising, but the life I was leading likely voided any benefit from my workouts at the gym. I remember sitting up one night thinking, “I have to make some big changes because I don’t like the way my future looks.” I had an obese uncle with diabetes and a history of alcoholism and cancer in my family; I realized that if I didn’t change my ways, I’d be heading down a rocky road. That evening, I decided to commit to living a better lifestyle. I started by making dietary changes—that was the easy part. I limited my restaurant meals to once a week, stopped buying sugar-laden sauces and became a “perimeter” shopper (I shop the perimeter of the store to avoid the temptation of pre-packaged food items). I discovered some healthy recipes that I liked, and ate as healthily as possible during the week—allowing myself only slight variations on weekends. The hard part was the initial social isolation. Many of the friends I had at the time were living similar lifestyles to how I used to live, and I knew I couldn’t continue down the same path. But instead of cutting these people out of my life, I did a better job of managing my relationships. For example, I could easily cut out alcohol by controlling my environment. Instead of joining my friends at the pub all night, I would drop by earlier, catch up on their lives, and then leave before things started to pick up. Instead of meeting people at a bar, I began to suggest other get-togethers, like watching sports, playing games, or doing other activities to create a good time. If my friends wanted to drink, they could, but at least it wasn’t a focal point of the evening. There are many environmental and external factors that will play a role in your ability to live a healthy life. The key to succeeding is to know what you want to improve on; construct a plan; set goals; and commit to yourself.